Why is the Donald smiling? Read more about Weep Donald Trump, weep! Miss Universe 2006: beauty pageant par excellence! Male impersonators pretending to be or maids representing the contestants from U.S. Virgin Islands, Slovenia and Belgium, respectively? Read more about Miss Universe 2006: beauty pageant par excellence! 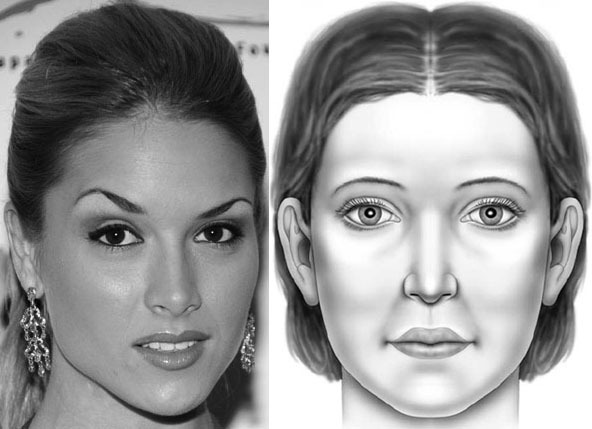 This article illustrates an example of how morphing different faces leads to a composite face that is better looking than the individual faces comprising the composite. Also, the individual faces considered here belong to the contestants in the 2002 Miss Germany pageant, which implies that the composite face reflects the central tendency among these contestants.